been my Apple. 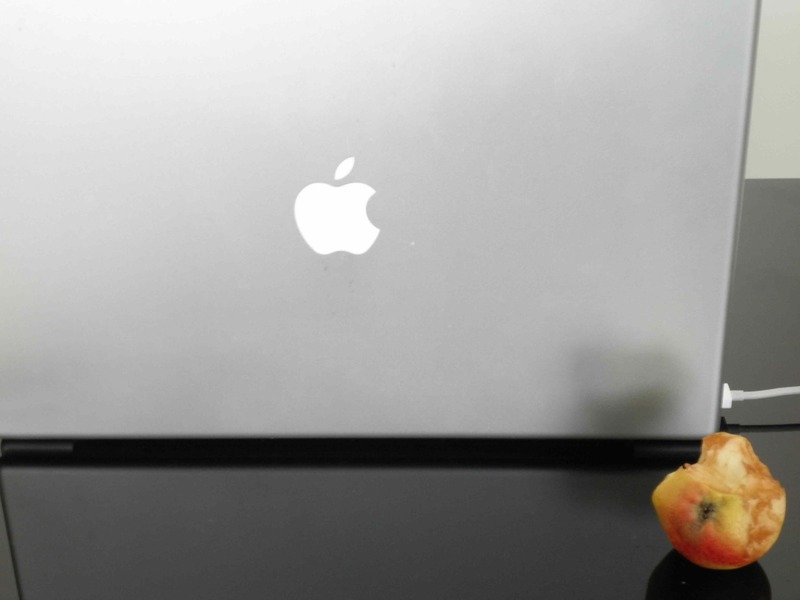 Along with one of those apples that grow on trees, turning on my Mac has been part of my morning ritual wherever I have been and in whatever state-of-mind I have been in, minus a couple of war zones that have made it impossible. But even in those times, I would sometimes move my hands like they were going over the keyboards writing my thoughts. I have never been addicted to my Mac, but I’d say we’ve been pretty co-dependent—or let’s say the best of friends, a reliable friend I always cleaned up with only the finest soft cloth, a friend I could count on to help me stay bond to my other friends and family, a friend I never cheated on once, no matter how many times a PC tried to get my attention. A friend who would only abandon me when it was his time to go, like Steve Jobs today. But my Macs always left memories behind, a hard drive that recorded our history together and the history of my life for the time we were together. And I am glad none of them tried to erase me from their memory, at least until we were no longer together . It hasn’t always been the same Mac, but it has always been the same genius bringing me my new model—as well as smaller ones, ones that were phones, ones that meant I didn’t have to endure the same 10 pop songs on the car radio, ones that are what I now use to read all the books I love, new and old. Some Macs have been better to me than others, but overall, I would be less of a person for not having had them all in my life—even the big, bulky ones that weighed me down, that refused to move with the times, that were serious baggage, but only in the best sense. I’m old enough to remember life before the various Macs that have lived with me. I would be a different person without them, as we would have all be. The way I stay in touch with people, read, listen to music, watch films, study, figure out my bills—all the paper and machines that would be cluttering up my world if my Macs hadn’t helped me get it together. They have also been fun–playing with my Macs in all their forms is something my nephews and I have bonded over, unlike video games (their choice) or baking cookies (my choice). Apples are our happy middle. Most importantly, my Macs helped make me who I am today. I wouldn’t be a writer without my Macs, whether for fiction, nonfiction, for film or television or print. And if I weren’t a writer, I wouldn’t have discovered peace of mind. Whenever my Mac and I have been writing, truly hard as it is everyday, I have felt that I am doing what I’m supposed to be doing. It couldn’t have done it without my Macs: I have weak hands and it is quite painful for me to write with pen or pencil and hard for anyone to read, including myself. It was only when I met my first Mac that I felt free to write.